Are you looking for a place or a space to sell your used materials? Do you want to buy second-hand materials? Do you want to make donation through giving away of your used stuff to the community? What you are looking for, now you can do it. 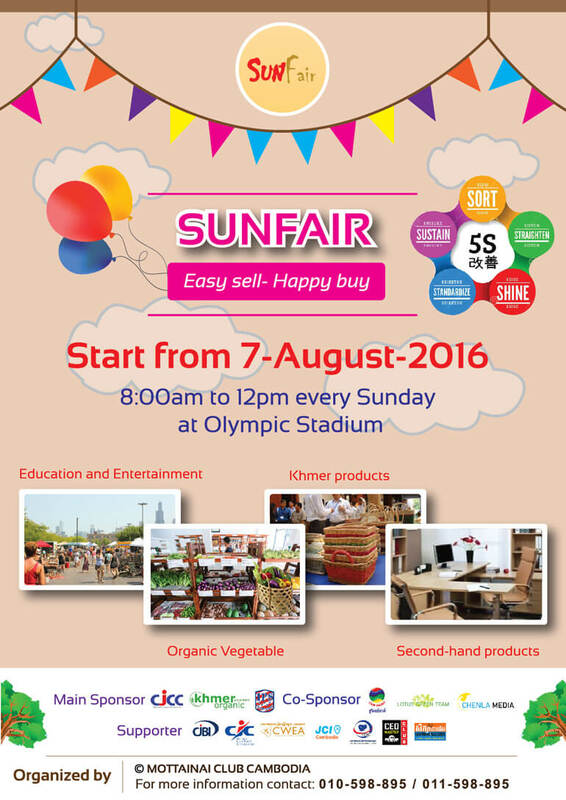 Join the first flea market, SunFair, in Cambodia on August 7, 2016 (every Sunday) from 8:00 am to 12 pm at Olympic Stadium. 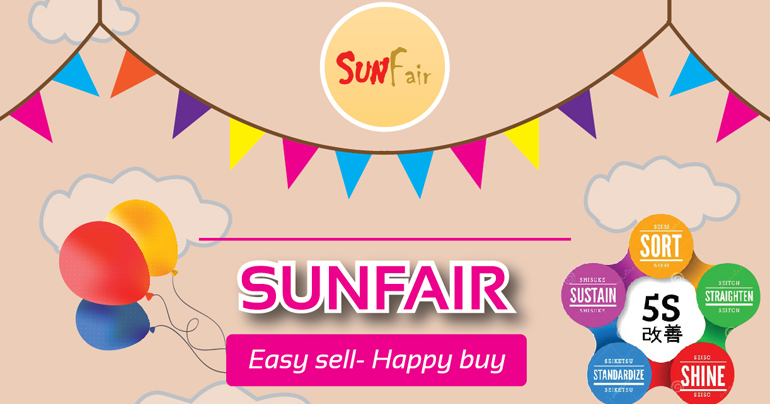 SunFair is a modified flea market where you can enjoy selling or buying many kinds of goods. The goods include used stuff sold with reasonable prices, Khmer products, Organic vegetable/fruits, and it also includes education such as First aid help (CPR), Right way of brushing the teeth, Japanese 5S implementation, and along with the entertainment such as Khmer traditional music, Various musical instrument played by different groups of students, and Children playground etc. The event is organized by Mottainai Club Cambodia, and the income will go to: 5% for Akihge Project, 5% for Kantha Bopha Hospital, 25% for Eang Foundation, 25% for Olympic Stadium committee, and the left for organizers. Are you ready to clean up your used stuff? Let's join this first ever flea market in Phnom Penh in order to get some profit and have a chance to contribute to the community. It’s happened to many of us – at home and at work – when we want to save that extra photo, video file or important document and find that our computer, tablet or smartphone has run out of storage space. For those of us who keep up to date on technological developments, we know that one relatively new solution to this frustration is using the ‘cloud’ to store our documents, files and business applications – enabling us to access them anywhere, any time, on any device. Until now, the ‘cloud’ has been the exclusive domain of giant, global computing firms who have the infrastructure to support the massive amounts of storage needed to run a ‘cloud’ computing operation. But thanks to its cutting edge technology, and its responsiveness to its customer’s demands, Cambodia’s leading internet company, EZECOM, will soon launch ibizCloud - a “Made in Cambodia” solution to the growing problem of IT capacities in our data-rich lives. ibizCloud, a joint venture with Hong Kong telecoms giant Hutchison Global Communications, is initially aimed at the business market, offering an alternative to expensive on-site data management. EZECOM will work with businesses to assess their data needs and IT requirements and then converge virtual, off-site data storage and management system – based in Cambodia, managed by Cambodians and still meeting all the strictest international security standards. “Many businesses and IT managers are aware of cloud computing and the advantages it brings. But many are put off by the price tag from the global giants and the lack of face-to-face support from companies in the US or in Europe,” says Sok Yeng, Value Added Services Product Manager at EZECOM. “ibizCloud is based in Cambodia and we understand Cambodian businesses so this will help ease any worries that businesses here have about using cloud computing – knowing that we are there, in person, to support them with their data management and storage,” says Sok Yeng. The launch of ibizCloud comes at the start of a busy 2015 for EZECOM, which aims to build on its leading position as Cambodia’s number one internet and data services provider by being the first company in Cambodia to bring ashore a submarine fiber optic cable that will dramatically increase the internet bandwidth available and reliability to Cambodian internet users. The slogan for this service "International Quality, Local Service". Will Cambodian businesses support this made-in-Cambodia cloud service? Personally, we have to support for this initiative idea and it is good opportunity to try and trust in term of support and quality. You have any comment to share? Stay tuned to get updates from the company! In today technology, the 21st century - era of Social Media and Cloud Computing - where we are living in connecting to one another thru ease of technology no matter where you stay, we can keep in touch each. To stay away from those internal or external cyber threats, we must learn how to stay safe online for those children and parents. 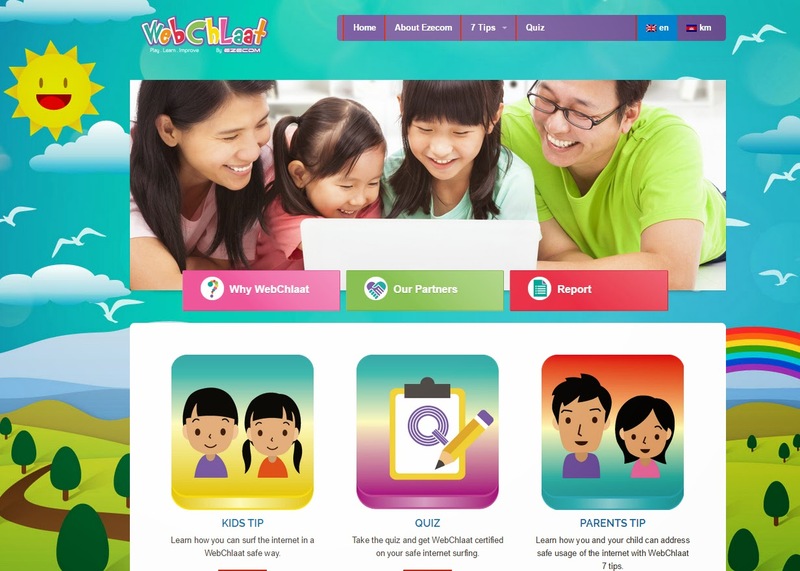 Seeing that Ezecom, Cambodia’s leading internet service provider, will soon launch WebChlaat - an online guide for children and their parents to help children enjoy the internet while staying safe from cyber bullying and inappropriate content, according to the company's news. “WebChlaat” or ‘WebSmart” is a seven tip guide prepared by Ezecom in association with leading child rights advocacy groups Friends International and ChildSafe, which recently certified Ezecom as Cambodia’s first ChildSafe company. Ezecom will be running a live banner on the CEN website (http://www.cen.com.kh/) in the next weeks – providing daily internet safety tips and a link to the WebChlaat site at http://webchlaat.com/. Among the safety tips for children: be smart when making online friends, be smart what you share on the internet and be smart about emails from strangers. For parents the tips include: be smart and prepared to answer tough questions, be smart about anti-virus software and be smart about cyber bullying and its consequences. “As a parent myself of course I want my children to enjoy the learning opportunities, entertainment and other resources that the internet offers. But its important that we help parents and children talk openly about some of the dangers that lurk out there on the internet, so that we can all benefit from the power of the internet without falling victim to the perils,” said Ezecom CEO Paul Blanche-Horgan. The WebChlaat website underlines Ezecom’s long term commitment to supporting education and children’s rights. The company’s staff was recently the first workforce to be certified as ‘Child Safe’ by Friends International and ChildSafe, meaning that staff have received training on being aware and alert to evidence of child abuse and how to respond appropriately. - Free Security Check Ups by StaySafeOnline.org: Many computer security vendors offer free computer security checks for your computer. Please visit the above link to check your computer for known viruses, spyware, and more and discover if your computer is vulnerable to cyber attacks. - Cisco Cyberspace Action for Education Campaign provides resources about online safety for families and educators. - The Official Google Blog's security posts provide insights from Google employees into online safety with their products, technology and Google culture. The blog also offers helpful suggestions on how to make the most of your online experiences. - Facebook Security Tips: There are hundreds of people working full time to help protect your account and keep scams off Facebook. - Intel in Education - For K-12 Educators has free education resources. - McAfee's 10-Step Internet Safety Plan for Your Family gives parents tips and tools on keeping their kids, tweens and teens safe and secure online. - Microsoft's Safer Online helps you create safer web experiences for yourself and others by offering the latest online safety tips and resources. - The PayPal Security Center teaches you how to remain safe while using PayPal's services. - Symantec - The Family Resource Center provides Internet safety tips, a family online safety guide and information on cyberbullying and cybercrime. - VISA - Learn the Facts helps consumers learn about various threats, how to spot them and what you can do to keep your information secure – online and off. - ESET- Securing Our eCity Resources: Securing Our eCity is an initiative of ESET, an IT security company that produces anti-virus, anti-spyware, and other anti-malware software. - National Information Security Center (Japan): The Japanese government has an international cybersecurity campaign to coincide with its Information Security Awareness Month in February. Through the campaign, Japan encourages international collaboration and domestic awareness of information security issues. Let's Stay Safe Online from now on together! Do you have idea to add? Please drop your comment below. For the past several years, information technology security was not a big concern for Cambodian business owner and CEO but current situation has been changed fast due to increasing number of local hackers and some foreign hackers who used to hack the governments' websites and local companies. By seeing so, SUNRISE Institute became an authorized partner of EC-Council in Cambodia where will organize the "Certified Ethical Hacker (CEH) Version 8", the world most popular IT security course conducting in 5 days on 12-16 May, 2014 from 8am-5:30pm at CKCC with approximated price $1,700 (it just estimated price only in Cambodia but outside this country, I think it may cost about $2,500). This class will immerse the students into an interactive environment where they will be shown how to scan, test, hack and secure their own systems. The lab intensive environment gives each student in-depth knowledge and practical experience with the current essential security systems. Students will begin by understanding how perimeter defenses work and then be lead into scanning and attacking their own networks, no real network is harmed. Students then learn how intruders escalate privileges and what steps can be taken to secure a system. Students will also learn about Intrusion Detection, Policy Creation, Social Engineering, DDoS Attacks, Buffer Overflows and Virus Creation. For more course outline, you can visit official EC-Council website. EC-Council has globally trained more than 120,000 security professionals in 87 countries, and is a leading provider of IT Security certification and also actively engages and certify key government organizations and corporations worldwide. According to SUNRISE Institute's poster, the instructor will be from foreign country who has certified of CEH which recognized globally. This course will significantly benefit security officers, auditors, security professionals, site administrators, and anyone who is concerned about the integrity of the network infrastructure. Personally, I think there will be less student that can pay by their own fee based on the high price of the course for them to invest on learning. But I am sure that companies, especially from bank industries - where our money are kept, will send and pay for their staff to attend this very useful course. Individually, the participants who attended they will bring back to contribute to their employers and be security experts for improving our ICT, especially they have opportunity to apply for global certificate on The Certified Ethical Hacker exam 312-50. Are you interested? If so, please contact SUNRISE Institute at: 023 997 282/ 016/099 997 282. Note: This institute is also the first place that opens IT Governance course in IT Assurance & Security Audit for public. I am not a promoter for the institute on this course, and I have shared it as for the good deeds in improving ICT in Cambodia ONLY. Do You Know Who Is the First CEH Certified in Cambodia? Before I had attended the IT Assurance & Security Audit class which lectured by Cambodian professional lecturer, I did not know the word "CEH" is, since then I started query who is the first Cambodian guy who got certified this world-top certificate. Finally, I found him a person who I often met as well. He, Mr. Yeng Sok, is the First Certified Ethical Hacker in Cambodia; I do appreciate his great earning the international certificate. Don't let this opportunity go without you! And let's produce more human resources in Advanced IT level! Have you ever dreamed of being an Entrepreneur? 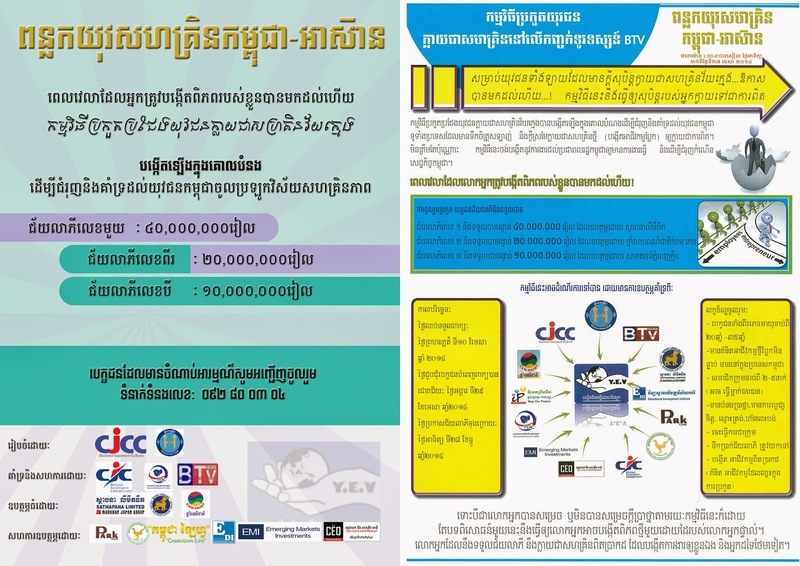 Here is another chance for you to make your dream come true by joining this competition "Young Entrepreneur Venture Cambodia-ASEAN" to win 40,000,000 Riel (about $10,000). The amount of competition similar to recent competition of Biz Plan Competition by Gazaab Interprise on March 17 at Smallworld Cambodia. The purpose of competition is to encourage and support Cambodian youth nationwide who has willing and dream to be an new generation of Entrepreneur in reality. Moreover, the competition aims to create jobs for Cambodian people and to boom the country's economy. - Application Date: The application will be from now to April 10, 2014, and the successful filled-form applicants will be gathered on April 29, 2014, and final date for successful winners will be on December 28, 2014. 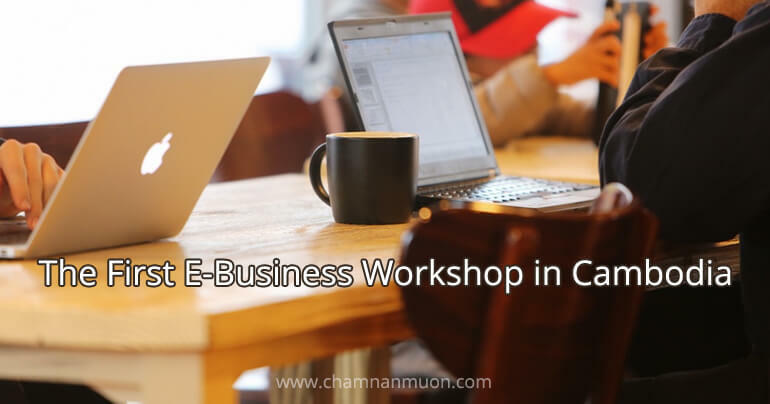 You can get the application form at: Cambodia-Japan Cooperation Center (CJCC), Bayon TV, and Sathapana Limited (HQ, and other branches in case you live in province). 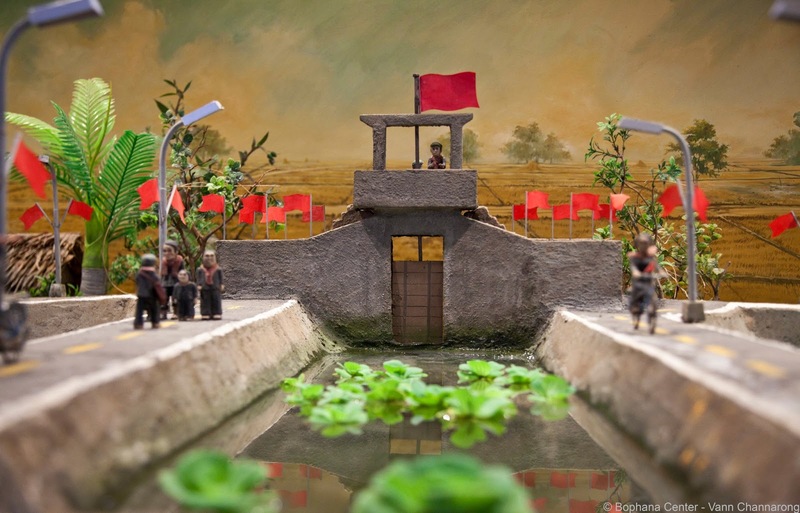 - Phase 4: Final presentation with supporting by the committee and public. - Write your reason why you want to make the dream. 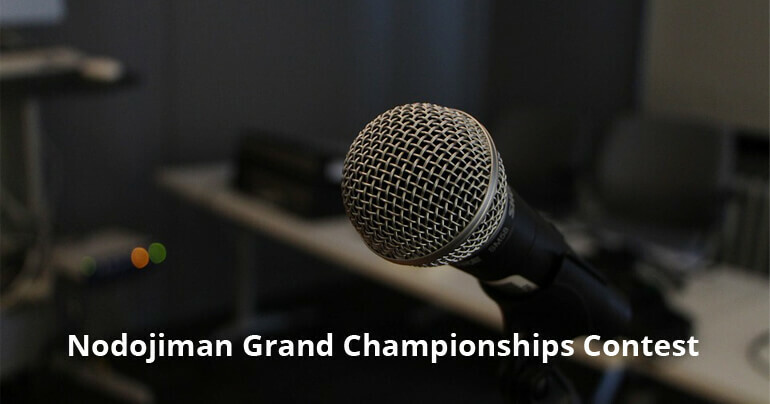 Who Makes the Competition Happen? 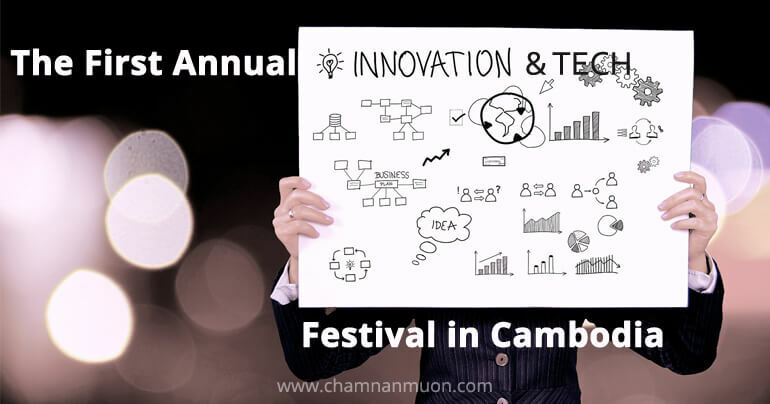 The program brings to you by several supports from: CJCC, Phnom Penh Club, BTV News, Sathana Limited, EDI, Park Cafe, Cambodia Life, CIC, CEO Entrepreneur, EMI, Image Printing, and Cam-Paint. 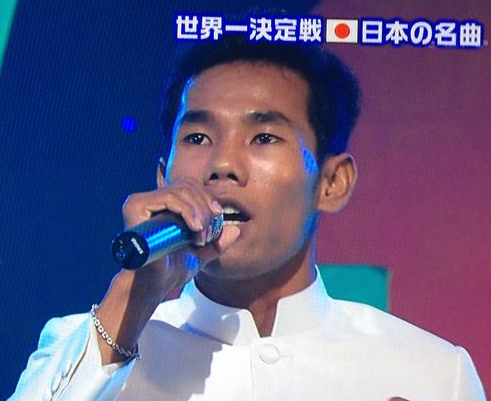 It will be screened on Bayon TV on April 27, 2014 from 1:00-2:00 PM! Let make your dream come true even though you can win or not from the program but I hope this experience will lead you to create a new world of business by your own hands. Wish you and your team win and become a real successful entrepreneur!